A comment made at the relatively recent January 2011 Bloginar caught my attention and I have been thinking about the consequences of the statement for the past week or so. The question was asked about the "Family Trees" tab on the FamilySearch.org main page. We have been speculating that the program presently called New.FamilySearch.org would be accessed from that link. Comments made last years seemed to indicate that the problems with New FamilySearch would prevent its being opened to the public at large anytime in foreseeable future. So the question was legitimate as to what was going to be added to the Family Trees link. A search returns references to the name searched in a variety of databases, including the Ancestral File. The results of the search are clearly different than the results obtained from a search for the same name from the form on the main search page. The answer to the question asked at the Bloginar indicated that FamilySearch was developing a "new" product that would allow users to store their genealogy information online (apparently with sources) and media. The new product would be Beta tested later this year and would allow members as well as the public at large to input their family information. This certainly looks to me as if the effort to sanitize the New FamilySearch database for public consumption has been abandoned and that the new product will likely become the place to store and work with family files. Meanwhile, New FamilySearch will be allowed to perform its function of qualifying ordinance work and not become the main data storage and research area for family trees? This idea seems to be supported by the relatively small incremental changes that have been made to New FamilySearch over the past few months. The most recent changes in December went almost completely unnoticed. The main addition being a "Watch" button that let users received an E-mail notice of any changes to a particular individual. Time will tell. This all may be pure speculation on my part. The Holy Grail of the genealogy world (and the computer world in general) has always been OCR and Voice Recognition software. I remember visiting the Seattle World's Fair or Century 21 Exposition in 1962. IBM demonstrated the IBM Selectric Typewriter. As a side note, some time ago I mentioned a typewriter to one of grandchildren who is a teenager and he had never seen one. At the World's Fair, IBM had the Selectric hooked up to a microphone and demonstrated some very limited voice recognition software. Later, another milestone of public awareness of voice recognition to the form of Dave, the computer in 2001, A Space Odyssey. In addition, nearly everyone is now familiar with the Star Trek computer with whom the characters are always carrying on a conversation. Voice recognition has now become so common that nearly everyone in the world has spoken with a computer when making a telephone call to a large insurance company. But the real question is, has this technology sufficiently matured to actually work with something as text/data intensive as genealogy? The first thing you need to ask yourself if you start thinking about voice recognition is the names of your ancestors. Will the voice recognition software be able to differentiate between Kawolski and Kawasaki? Or how about Vanlandingham? I must admit that every few years I succumb to the siren call of voice recognition and buy another program to see if there is a way to really speed up all this typing and data entry. Every single time, I have found the error rate to be unacceptable. We went through the whole process at our law firm and tried mightily to get voice recognition to work. It lasted about a week or so. Even with the stupendous computer capacity we now have, adequate voice recognition is always just beyond our grasp. Voice recognition works in environments where the same commands or limited dialogue are used over and over again. My last attempt was the transcription of one of my ancestor's journals. Even though I had the program working exactly correctly and used a USB digital microphone, the transcription still came out as hash. I spent more time trying to find all the word substitutions and typos than I would have spent keying in the whole thing in the first place. To those of you who are presently enjoying the benefits of voice recognition and are thinking about writing me and telling me how I have missed the boat, try dictating a will from the 17th Century or an old deed. As an attorney, I cannot have an error rate. I have a big enough problem with typos that escape our review and cannot afford to have yet another unpredictable system messing up my documents. The same thing goes for all my genealogy. It is hard enough to be accurate without having a system with a built in error rate. Once again, the same thing goes for trying to use voice commands to control your computer. If I could not type, I would have no other choice, but I have never seen voice commands to work as quickly as I do with a track pad or a mouse or the keyboard. I think it is important to insert a reality check at this point. Voice recognition is a blessing to those who cannot physically operate a keyboard and mouse. In those circumstances, the error rate is acceptable because there are few alternatives. My perspective is admittedly unique, I spend virtually all day and most of the night working on a computer. I simply cannot put up with an error rate. OCR (optical character recognition) is in the same category as voice recognition. It works well with mail as long as there are real people checking any rejected items. It also works well depositing checks in an ATM except when it doesn't. The same problem exists with OCR as with voice recognition, an unacceptable high error rate (unacceptable as in genealogy) especially with faded text, odd fonts or weird angles. Don't even think about OCR of handwriting yet. How am I supposed to teach the program the words when I can't pronounce them myself? I have found OCR to work acceptably with typed material where accuracy is not crucial. I will use it if I really don't feel like typing in pages of printed text. It is always an available alternative because I always have a program or two on my computer scanning software. On the other hand, voice recognition is another world. You can't just grab the microphone and start in dictating long text documents despite the claims of the software developers. Look at the ads. Dragon NaturallySpeaking 11 Preferred or Dragon Dictate has a "potential for 99 percent accuracy." Personally, if I am doing genealogy, I don't want 1 out of every 100 words to be wrong. I make enough typos on my own, thank you. If you read a few software reviews of the most popular voice recognition programs and if the reviewer is honest, he or she will always end up mentioning the editing software they use to fix the errors inherent in voice recognition. But if you are like me, you will look at the price and then look at the time you are spending typing and you will end up trying the programs again and again. Who knows, maybe the next round of updates will overcome my concerns? Now, let's see how much is Dragon Dictate on Amazon? This post starts a new series of posts giving a genealogy perspective to the latest technology news. I will try to focus on those developments that may impact how we do research or the tools that we might have available. Some of the developments might not be cutting edge, but may be existing technology that has grown to the point where it is now useful for genealogists. From time to time as I see something significant, I will give another update. At the moment, the big news is tablet computing. With the introduction of the Apple iPad, a whole new perspective was added to the way people interact with machines through touch screen technology. Despite its detractors, the iPad was and is a huge success. As a result, the iPad has spawned a huge number of copies from competitors. Google Android is in the process of releasing it Android 3.0 Honeycomb OS incorporating features to support tablet PCs. Dell Computing has announced that it will start offering iPad sized Tablets soon. There are other offerings from Fijitsu and Sansung. Only the Galaxy Tab from Samsung appears to have any possibility of eroding iPad sales. What is certain is that tablet sized computers will continue to grow in capabilities and features. Already they are a viable alternative in some situations to laptops and will likely become more so in the future. The iPad, because it runs iPhone Apps, already has a number of genealogy programs available including Legacy Family Tree for the iPhone/iPad and a Family Tree App from Ancestry.com. Personally, the iPad has revolutionized the way my wife organizes all of her activities. Another major area of development, again led by Apple Computer, is the laptop. The new MacBook Air is about the size and weight of an iPad but has a full sized keyboard. The MacBook Air uses all flash storage. Flash storage is another major development. Although flash memory storage has been around for some time, the size of the storage has dramatically increased while the cost has continued to decline. As genealogists we are nearly all familiar with flash memory in the form of portable flash drives or thumb drives. With the incorporation of flash memory into more and larger devices, the price will continue to come down. The MacBook Air can come with up to 128 GB flash storage, still not as much as hard drives but starting to become a viable alternative. Digital cameras continue to be a hot technology item. The major manufacturers will continue to release newer, updated and more powerful camera models. Cameras will more generally come with LCD screens and these screen will likely contain touch technology capabilities. Watch for new cameras from all of the manufacturers but most particularly from Canon and Nikon, the two leading companies. Scanning technology continues to improve in smaller steps than other devices but 2011 will see new improved scanners such as the Canon CanoScan 9000F and the Epson Perfection v600 both under $200. I had a look at some portable scanners recently. This portable technology has been around for more than 15 years, but through improved software capabilities is now an acceptable alternative. It is questionable however if portable scanners are really more convenient and higher quality than digital cameras. This next year will see a continued erosion of the traditional telephone/cable TV/Internet connection currently available to most of the U.S. More and more people are finding all of the information and entertainment they can possibly use on the Internet. They are also finding no need to continue to pay for a telephone land line. This trend will undoubtedly continue in 2011. Part of the trend towards replacing the traditional land-line telephone has been the development of smart phones, small cell phones with computer capabilities. Apple has once again led the way with its iPhone, but the Google Android operating system phones are right behind. Judging from the number of cell phones, including iPhones at the Mesa Family History Expo, I assume this technology is well on its way being integrated by genealogists. Most of the genealogy software companies have recently announced updates to their programs. Although there may be some additional updates during 2011, presently there are no new dramatic changes on the horizon. If someone knows differently then I would be happy to incorporate the new products in my next update. From the badges on my site, you can see that I will be an Official Blogger at the RootsTech Conference in Salt Lake City, Utah next week. I am looking forward to meeting some new Bloggers and renewing acquaintanceship with some I have already met. I hope that any of you readers who attend the conference will take the time to say hello. I am already trying to figure out which of the sessions and events I must attend. Putting equally interesting classes into some kind of priority is difficult. We are also planning on attending the nightly activities, assuming we aren't exhausted by all the walking and all the classes. I will be making periodic posts throughout the conference giving my insight into any news or noteworthy information I learn. 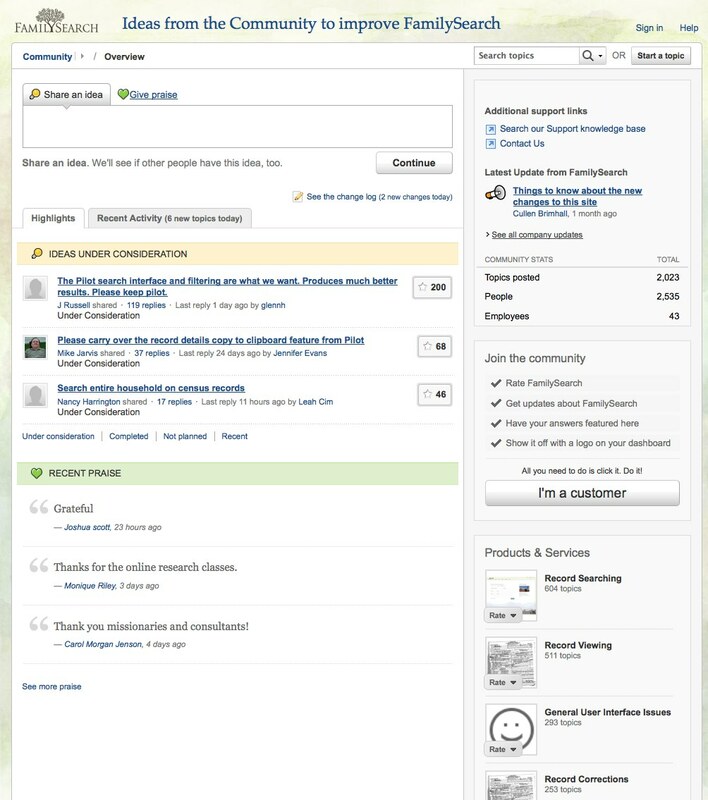 A recent post by Randy Seaver of Genea-Musings, Ancestry.com and the Genealogical Community, quoting Thomas MacEntee of Geneabloggers in a post entitled, "Open Thread Thursday--Ancestry and the Genealogy Community" got me thinking about the future of subscription websites that cater to those interested in genealogy. The idea of these sites is to sell genealogical information and other services like data hosting to the public. Although the target audience is supposedly genealogists, there is nothing preventing anyone, genealogist or otherwise, from becoming a member of these sites and using the information for another purpose. For example, there are companies that charge a fee for locating missing heirs. I assume these companies use some of the subscription services like Ancestry.com, for their searches. As an attorney, I have also used Ancestry.com to verify heirship information in probate cases. The question is whether or not the concept of paying for genealogical information or services has a long term future? Can the services survive the competing interests of privacy, copyright, freedom-of-information and profitability? Will the market evolve into a dichotomy of government owned and controlled information in contrast to freely available information, leaving out the private paid services other than those working for or with governments? Some subscription or pay-by-view genealogy sites are already government owned and operated. Others are private but operate with government licenses or approval. Some governments, see genealogists as a revenue source. For example, both the U.S. and U.K. National Archives charge for copies of their records. The U.S. Social Security Administration charges $27.00 or more for a copy of a person's Social Security Application Form. There are far more governments and government agencies that charge for their record availability than make them freely available. The Denmark and Norways of the world are the exception, rather than the rule. Considering the present status of the private online subscription providers, Ancestry.com, as one of the largest of the online providers, gets most of the attention because of its high level of advertising. MyHeritage.com may actually be the largest online subscription site internationally, but there is no easy way to make that determination. The various websites that rank sites by traffic do not agree with each other. Just for the record, FamilySearch.org's web traffic is no where near the present size and popularity Ancestry.com. But does the fact that these huge online conglomerates are presently successful necessarily guarantee their continued growth and popularity? One problem with subscription sites is that people have to maintain an interest in the content of the site over time. The perception of the genealogical community is that subscription websites are expensive. I would guess that the perception is more of a reflection of the demographics of genealogists than any real cost/value analysis. Looking at the demographics of those who visit the Ancestry.com website as reported by Quantcast.com, the user of the site is over 50 (39%), female (61%), no children (over 70% for all ages), making an average income and with an average amount of schooling. About 48% of the Ancestry.com users have no college degree and 21% make less than $30,000 a year. If I were running a business and those were my demographics, unless I was operating a care center, I would be worried. Another challenge to the subscription sites is the changing background of privacy laws. The U.S. copyright laws are an example of what can happen as a "right" is expanded. U. S. Copyrights used to expire for any number of reasons but never lasted more than 75 years. Today that time period has increase so much, that it is unlikely that anyone living will ever see the end of the contemporary copyright protection on a currently published document. Further, as the so-called "privacy" rights increase, governments become less and less inclined to allow access to their records. Some of the more extreme examples of government limitations on the availability of records are from Canada, where each province has its own act and time limits on protection of the personally identifiable data held. The Canadian federal government has other rules, some of which will result in the fact that some years of census from the twentieth century will never be available to current genealogists except as combined data. As governments continue to capitalize on more and more varied income sources, the sale of access to genealogically significant records will become overpoweringly tempting. Another question is to what extent free websites will cut into the market addressed by subscription sites? Will free websites cut into the profits of the subscription sites to the extent that they will become unprofitable? This does not appear to presently be the case. 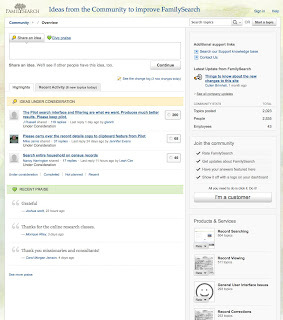 For example, FamilySearch is partnering with Ancestry.com and will defer to Ancestry.com to provide some of the records that FamilySearch could otherwise make available. FamilySearch isn't making much of dent in the huge numbers of people signing on to Ancestry.com every day, but there may come a point when the online FamilySearch collections equal or exceed those of Ancestry.com. If FamilySearch and other free online providers make available all of the records not permanently controlled by governments, what will be left for the private subscription sites? What about those sites that provide online storage of family trees? The present market for online storage is very dependent on a particular type of technology presently existing on the Internet. It is entirely possible that the way people interact with their data online will change so dramatically, the present model of an online family tree program will not exist in its present configuration. If FamilySearch, for example, were to provide a free, viable online family tree storage alternative, with the ability to have accurate sourcing, media and text, wouldn't there be less of an attraction for the commercial sites? It is highly unlikely that any one provider of genealogical services will come to dominate the Internet, Facebook notwithstanding. (If I were to make one sure prediction about the Internet, it would be that Facebook will begin to disintegrate into separate more focused social networking sites). You might want to note that the most downloaded App for the iPhone/iPad world is a game written by an 11 year old from Utah. These events are called "Black Swans" and are predictably unpredictable. Can Ancestry.com fail? Think about some of the high tech companies that have disappeared or virtually disappeared in just the last few years. Are you in the market for an IBM computer? How about a Compaq? I ought to say right up front in this post, that if you are not familiar with New FamilySearch, some of what I will say will not mean much to you. But you are certainly welcome to read on and learn about the significant advance made by the Legacy Family Tree program in addressing some of the New FamilySearch issues. I mention this because access to New FamilySearch is presently confined to members of The Church of Jesus Christ of Latter-day Saints. There are at least two opposite poles of the users of the New.FamilySearch.org program. At one end of the spectrum are the grazers and munchers. People who have absolutely no clue what they are looking at in this huge database of names and are there simply to take what information they can gather, without even the slightest effort to determine if the information is accurate, complete or even possible. These people are still clicking on green arrows and printing off Family Ordinance Request forms without a thought as to whether the ordinance work has already been completed. The grazers and munchers are feeding on the tares and the wheat, which is mostly tares. The tares are the huge number of duplicates and inaccurate entries contributed by people who apparently made no effort to check for accuracy or duplication. At the other end are all the people who have quit working with or looking at the program because of their frustration with the data. Those who have opted out of the program are waiting around for some glimmer of hope that they may be able to start correcting all the mis-information sometime in the future. Well, that glimmer of hope has arrived. Millennia Corporation has release Version 7.5 of Legacy Family Tree. This is not just another software update, but a real attempt to address the fundamental challenges of the data pile in New FamilySearch. I realize the updated program has been out for almost two weeks and I haven't said much about the upgrade. That was due to the Mesa Family History Expo and a few dozen family and work issues all happening in the past two weeks. Over a year ago, Geoff Rasmussen of Legacy, gave me a tour of how the upgrade would work. I was very impressed at the time. Now, a year later, the reality is much better than the demo. Legacy has taken the synchronization to a new level. Ability to keep FamilySearch family tree current with Affiliate's application for selected persons and information ("Sync-up"). Ability to Affiliate's application current with FamilySearch family tree for selected persons and information ("Sync-down"). The ostensible purpose of synchronization is to save huge amounts of time manually copying information back and forth between a local data base and the online data. You can click on the link above to see a list of the certified programs. Legacy has implemented an entirely new concept in the present upgrade: a start at marking the data in New FamilySearch with warning symbols that will tell when some of the data is terribly inconsistent or not usable. To read the entire explanation, please go to Geoff's Blog post on the upgrade. I am running out of time this morning to keep commenting, but his explanation is better than anything I could do here anyway. Let's just say this is the first time someone, as far as I know, has addressed some of the problems with the data in New FamilySearch in a positive and workable way. Digital memory is measured in bits and bytes. I am not going to get into a discussion of binary numbers and showing how to calculate in decimal and binary, but to understand computer memory and digital memory of all kinds, it is helpful to recognize the terminology and the relative sizes of the steps between different levels of storage media. Before showing the illustration, there are one or two points that need mentioning. First, 8 bits = 1 byte. It doesn't do any good to ask this question any more than it does to ask why there are 4 quarts in a gallon. There is a good historical reason which has long since been almost forgotten or never learned. The second is that commonly the real number of bytes at any level of storage device is rounded to a simple number. The progression of the numbers is usually indicated by a prefix on the word "byte" such as Kilobyte. We'll knock it off there, suffice it to say the next three steps are Exabytes, Zettabytes and Yottabytes. In real life these steps are usually expressed much more simply by noting that each level is 1000 of the previous level, i.e. a kilobyte is a 1000 bytes and a megabyte is a 1000 kilobytes, and so forth. Although not strictly true, it makes the whole idea a little less complicated and is near enough for everyone except those who build computers. OK, let's get on with the discussion of memory cards. They come in sizes expressed in the terminology above (there are no terabyte or petabyte memory cards, yet) Common memory cards today (2011) are usually around 2 to 4 Gigabytes (2GB to 4GB) Since this size card usually sells for less than $25 (some for much less) the discussion should probably end there. But it is interesting to note that the largest cards available today, either a 64GB SDXC card or a 64GB CompactFlash card, cost more than $250. If you are buying memory cards, buy two or three 8 or 16 GB cards rather than one 64GB card. Some professional photographers recommend a selection of even smaller memory cards, just so that loss of one card does not lose that many pictures. Bear in mind that an 8 GB card can store hundreds of pictures at lower resolution. Even at the highest resolution the camera supports, you can still store well over 100 pictures on an 8GB card. Some 8GB cards are priced at under $10. 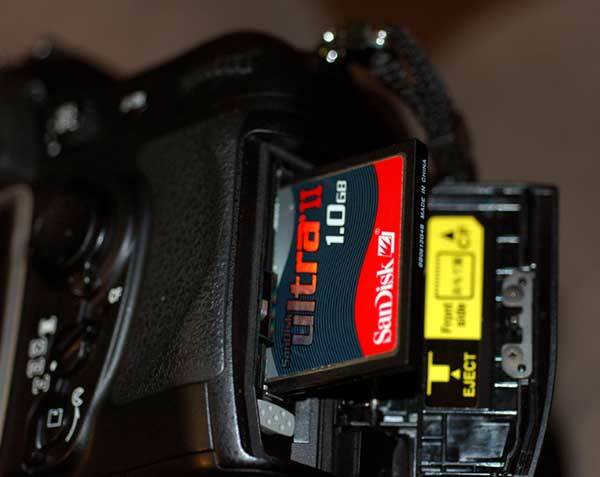 Even though the memory cards are robust and can take a lot of abuse, why should you try to make one fail. The cards should be kept very clean and away from dust, moisture and oils, i.e. they should not be carried uncovered in a purse or pocket. Most cards come with a little plastic container. Use it. Don't throw it away. Be careful when inserting the cards into the slot in your camera or other device. Make sure the contacts, the little metal strips, are facing the right direction and don't force the card into the slot. If it seems hard to insert, it is probably not oriented properly. Although, as I have finally gotten straight, the cards can potentially last for many years, both the cards and the cameras are rapidly evolving and it is possible that the type of card used by your camera will disappear and no longer be supported by the original manufacturer. If you cannot readily buy a replacement card, it is time to think about upgrading your camera to a new model using a more available card. Unfortunately, most of us think of cameras as a long term investment. With digital cameras, that mind set is in need of change. Cameras have become like any other electronic device, subject to obsolescence. Next time I will talk about card readers and some other uses for memory cards. The names chosen by the manufacturers of memory cards are not helpful. They seldom give you any idea what the product is or can do. Since, in my experience, genealogists are consumers of flash memory and purchase digital cameras, it would be convenient to know what you are looking at when making a purchase without doing a search on the Internet. Unfortunately the memory card landscape is just about as complicated as buying a new car (although they cost a whole lot less than cars). I think this post on memory cards will turn out to be a series. My first post was called "Moving Data -- Genealogist's View of Memory Cards." This post picks up where that one left off. Before you purchase a digital camera, it is very important to understand what type of memory card the camera uses. You should consider the availability, cost and maximum capacity of the cards. Frequently, a memory card is included in the initial purchase of the camera, but like OEM (original equipment manufacturer) tires on a car, the cards are not usually what you want in the long run. Each memory card has a specific amount of flash memory and will take a certain number of pictures. The number of pictures is determined by the settings on the camera. More expensive cameras have menu settings allowing the user to specify the resolution of the picture. The higher the resolution the larger the photo's file size, the lower the resolution the smaller the size. Each memory card is sort-of like having another roll of film for your camera. When a card fills up with photos, you either have to delete photos by transferring them to your computer or printing them off, or by putting in a new unused card. Caution Number One: Don't leave photos on the memory card in your camera for an extended period of time without downloading them to your computer. One problem caused by leaving photos in the camera is that the next time you want to take pictures, the memory card may be nearly full and you will metaphorically run out of film. 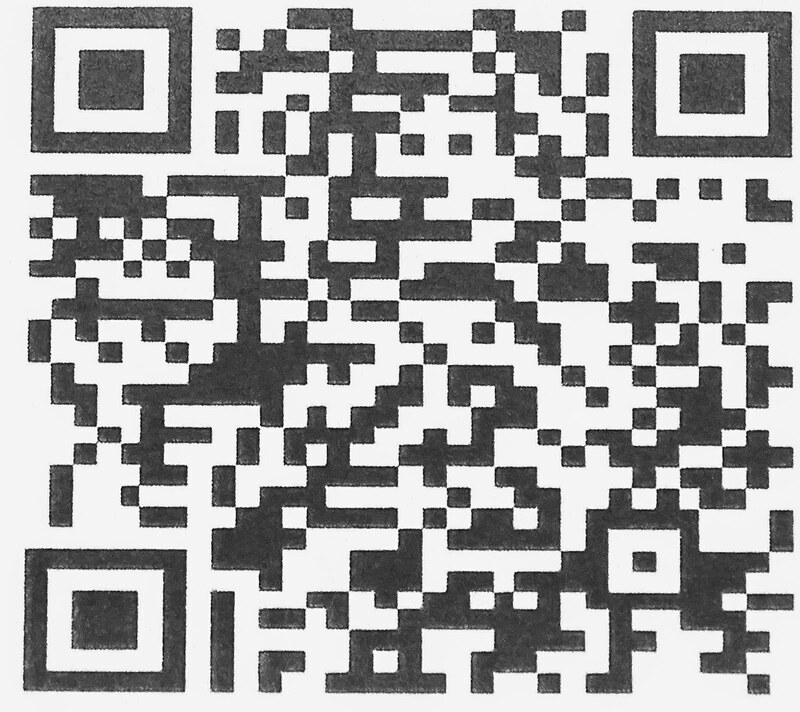 Professional photographers advise removing the card from the camera to download the photos. This requires a card reader, another device, that can be hooked up to your computer. One reason for not using the camera to transfer the photos, is that if the camera's battery fails during the transfer, photos may be lost. Camera batteries have a tendency to run out at the most inopportune times. I always carry extra batteries or a fully charged spare. So let's run through a picture taking session. You want a picture of little Johnny sitting in his high chair. You get out your digital camera and go to take a picture. The camera says "Memory Card Full." You rummage through your drawers and shelves looking for another memory card or you run to the computer and start to download all the photos you took previously. By the time you get back, little Johnny is graduating from High School. Somewhere in the documentation for your camera, or on the manufacturer's website, there will be a table showing how many pictures you can expect to take with any given resolution and any given size of memory card. Because the cards are relatively inexpensive, it is a good idea to have several available and make sure all the photos have been transferred and the cards erased. Professional photographers also recommend that you format the card (erase the pictures) using the camera's formatting program, of course, after transferring and backing up all the photos. Using your computer to erase the cards or manage the pictures on the card could possibly make the card unreadable by your camera. Caution Number Two: Back up all your photos before starting to edit or print them. This seems to be common sense. But how many of us follow this advice? I admit I don't always make a back up. However, on my computer, an Apple iMac, I have an automatic backup to an external 2 Terabyte drive every few hours to Time Machine. Which, by the way, works very well. Stay tuned for the next in the series. Back on January 11, 2011 I wrote a post entitled, "Update on the reliability of flashdrives." I am certainly not immune to believing Internet Myths. I am fan of the MythBusters program on TV (which I am too busy to watch) but interestingly some of the myths they set out to disprove actually turn out to be true. But the opposite is very much more likely. Information passed around on the Internet can often be very inaccurate and take on the quality of a myth. Well, due to the efforts of a very kind friend of mine, I found out some more information about flashdrives. Very simply put, the hand wringing I found so often repeated on the Web that flashdrives might fail due to read/write errors is simply very misleading and certainly in the busted myth category. The problem comes from the perception of the reality. The problem is called memory wear. My misunderstanding came from a lack of perspective as to the real magnitude of the problem. To quote my friend who knows, even if you wrote files every 5 seconds to 1 GB flashdrive the life expectancy would be over 300 years!!! I am certainly not going to worry about that part of the flashdrive literature any more. To the extent that I gave the impression that the read/write issue was something to be concerned about, I was wrong. I write that as I sit here looking at a contradictory statement online. Don't believe everything you read. I must be getting rusty in my old age and getting away from my 1960s upbringing. I am guessing the issue is like the warning someone to beware of rattlesnakes in the desert. Yeah, there are rattlesnakes, but the chance of being bitten by one is extremely small. Just don't bet your life on not seeing one. With storage devices, don't put all your eggs in one basket. (talk about mixing metaphors) Make multiple copies on different devices to avoid data loss. But myths aside, there are still several serious issues about relying on any one type of memory storage, especially one that is small and can be easily mislaid. Think about how many pens and pencils you have lost over the years and then project that to flashdrives. If you are going to use one for storage, use it for storage and don't carry it around with you. So maybe we should follow the advertising advice about a combination of exercise and proper medication? How about using an external hard drive to backup (copy) all of your data regularly from your computer's main drive? Then how about making another copy or two regularly to be stored in a safe (off site) location? Do I use flashdrives for storage? Not until the price of very large ones comes down. Even with 32 GB flashdrives, I would need more than ten of them for just one copy of my data and that would be very inconvenient. I am into Terabyte drives. As I have said before, I make periodic copies of my entire data file onto an external hard drive and give the drive to one of my children in various parts of the country. Hoping that a worldwide disaster doesn't hit all the copies at once. There is also the option of storing some of your data online. In my case, my data files are so large that even online storage is not an easy option, it is expensive and what would happen to my data if I stopped paying for any reason? But if you can afford a monthly or annual payment, storing files online is certainly an option. In the long run, if you use any type of off site storage, whether on the Internet or in another location, make sure your heirs (family hopefully) knows where your genealogy files are located. It would be way too easy for you to have all your files online and then die and then have your family not know about the files. Make sure a sufficient number of family members know the location of your backup files. Comments and commentary are always appreciated. The ones marked in red are still generally available, the others have gone out of style and are difficult to find and use. Why does a genealogist care? In a recent seminar the presenter asked the 300 people present how many had digital cameras. Almost everyone raised their hand. Did you know that the cards listed above are specific to certain brands of digital cameras and that the different cards are not interchangeable? Now are you thoroughly confused? Well, what happens in the real world is that when you purchase a digital camera and/or a laptop computer, you have essentially bought into one (or more) of these storage card formats. If the storage card goes out of date and is no longer manufactured, then you are out of luck in buying new cards or finding a reader that will read the contents of the card. For example, the SmartMedia card is no longer manufactured and is essentially dead. To make matters more confusing, some cameras have built-in memory storage which is used before any photos are stored on the memory card. You may have some photos in the camera and others on the card. 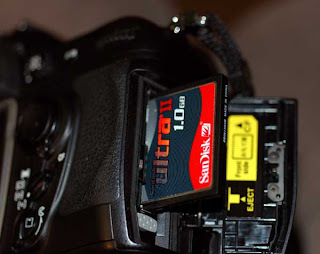 You need to carefully read the instructions that come with your camera or computer about the storage card use and be aware of the type of card, and its limitations, that your camera or laptop uses. 1. Never use these types of cards for long term storage of anything, photos or documents included. If you want to preserve your photos or other data, move them to your computer and then to another type of storage device such as an external hard drive or USB FlashDrive. 2. Always download your photos to your computer and then to another storage device. Do not leave photos in your camera's memory or on a card in the camera. 3. Watch the market. Be aware of which cards are currently being sold and make sure you can still purchase a card for your camera. If your device manufacturer changes the card in newer machines, consider upgrading your camera or computer. I think this area deserves another post. So stay tuned for more on this subject. Genealogy as a business -- are we in a recession? If you were at the Mesa Family History Expo this year and last, you probably could not help but notice a few significant differences. One of those difference was the lower level of vendor participation. As DearMYRTLE noted in her recent post, NO ANCESTRY.COM. Speculating, you would have to live in a box not to know that there was a serious economic downturn and that many smaller businesses are hurting. I would assume that includes a lot of genealogy businesses. What about Ancestry.com? Undoubtedly their decision to abandon the local genealogy conference was made on economic grounds. I surmise that Ancestry.com is moving more directly into a different business, closer to being a utility rather than a service provider. One interesting sidelight is the fact that Ancestry.com is going back free into the Family History Centers. That decision was probably made on economic grounds. More contact with users, more sales. The decision to abandon the smaller conferences may also be a reflection of the demographics. Let's face it. Genealogists are not usually found among the more wealthy members of our society. You don't usually have time to play golf and attend Rotary Club if you are a dedicated genealogist. Likewise, what kind of a vendor can stand there and talk to someone for an hour trying to get the person to spring for a $30 software program. Generally, genealogists are the only people I know that can worry about spending $20. (OK that's not fair. I do know people that live on very limited incomes and would never think of spending $20 on anything frivolous like a software program) Even if you are Ancestry.com and your program costs $80, that is still a mighty small profit for a considerable sales effort. Genealogist in business have to be part evangelists and teachers, used to spending a lot of time talking for very little income. Let's hope that the promoters of the Family History Expos made enough money from the Mesa show to keep going. Although, I don't mind driving to St. George. So where are the add-on, or as I used to say, value-added businesses going? By value-added I mean all those businesses that try to sell you something to enhance your main activity. In genealogy there are software vendors, book sellers, scrapbook people, printers, publishers, video producers and some hardware folks. All of these businesses try to use your enthusiasm for genealogy to sell you something that they hope you will perceive to be helpful to "doing your genealogy." The problem with these smaller businesses is that they are subject to the same economics as any other small start-up business. Statistics (of course they don't lie) show that with small start-up businesses tracked over ten years, less than 30% of them will still be in business. Put another way, less than 1 out of 3 small business manage to last for ten years and that is in normal economic times. See Startup Failure Rates -- The Real Numbers. So bad economic times, changing business models, normal attrition of small businesses, all of these factors may and probably did affect the businesses that showed up at the Expo or didn't show up. Will things be better next year? Only time will tell. The threat of a Digital Dark Age -- media invention? In my post on "Sunshine on the Digital Dark Age" I responded to a newspaper article about a presentation by Janet Hovorka. At the time, this was the first time I had heard a reference to a "digital dark age." In doing some online research on storage and backing up files, I ran across the term in another context, long before Janet's presentation at the Riverton FamilySearch Library. A quick Google search shows about 148,000 references to "digital dark age" including a Wikipedia article. The Wikipedia definition is "The Digital Dark Age is a term used to describe a possible future situation where it will be difficult or impossible to read historical documents, because they have been stored in an obsolete digital format.The name derives from the Dark Ages in the sense that there would then be a relative lack of written record." The term seems to have originated clear back in 1997. Again to Wikipedia, "The first published mention of the term might be at a conference of the International Federation of Library Associations and Institutions (IFLA) in 1997 . The term was also mentioned in 1998 at the Time and Bits conference, which was co-sponsored by the Long Now Foundation and the Getty Conservation Institute." (citations omitted). OK, do we have yet another reason for hand wringing? Is this a real problem or merely a catchy phrase that really has no meaning? I blame this particular phrase on the abysmal lack of knowledge about history. Losing data stored on computers or on magnetic media is not going to destroy the world. Lack of education and use of the knowledge we have might do that, but obsolete storage media and obsolete file formats are not going to destroy civilization. Just for the record, I know a whole lot about the Mayans and Central America and I don't think the world will end in 2012. This book is listed in 38 libraries in 7 editions. All of these are physical books. There is a digital copy in the Hathi Trust Digital Library as well as on HeritageQuest. I also have my own personal copy of the print edition of this book. In addition, all of the information is this book is in thousands of genealogy files scattered across the world. The book also is available on Google Books as well as from several book sellers. There is no danger of this book being lost, at least for the present. Can you lose you files to a failure to back up your files, migrate them to newer programs or through old media? Certainly. It can and does happen every day. Will this loss cause the collapse of civilization? Hardly. We have all viewed those scenes on TV and in movies with the news media swarming around the famous person or news event, cameras flashing and microphones aggressively being pushed into the face of the noteworthy person. Looking back, photography, especially news photography, was a profession. News reporters started as cubs and worked their way up in the news room and ended up as editors or columnists. For some of the most famous people in the world and in the larger cities, this scenario has not changed. But for the rest of us who are not quite so famous, news reporting has changed dramatically as have the print newspapers that used to print the news. There is a website called "Newspaper Death Watch" that lists the U.S. metropolitan dailies that have closed since that site was created in March of 2007. The list contains 12 newspapers. There are dozens of online articles chronicling the long term decline of the print newspaper industry. It is almost universally believed that the rise of the digital world will ultimately replace the printed newspaper. To a great extent, this has already happened with regard to special interests such as genealogy. The traditional media traditionally ignored interests such as genealogy. Larger newspapers may have had a genealogy column or some small articles on family history, but by and large, genealogy has always been an ignored topic. When was the last time you saw a newspaper story about genealogy. For example, Well, they do exist, but if you read a newspaper daily, you probably have not seen anything about FamilySearch, Ancestry.com or whatever for a long time. So what is happening to the way people obtain news? For one, news is going online and onto video. A survey conducted jointly by the Pew Research Center’s Internet & American Life Project and Project for Excellence in Journalism showed that the overwhelming majority of Americans (92%) use multiple platforms to get their daily news. See Understanding the Participatory News Consumer. Blogging is part of that participatory news and is becoming the news gathering and disseminating media outlet, especially for specialized interest groups. In other words, Blogs provide the news that is either no longer supplied or was never given much coverage in the first place. In addition, the Blog posts are more immediate than magazines or journals which may take months to report a single occurrence. In recognition of that dramatic shift in the news outlets, genealogy organizations and companies are turning more and more to commercially produced Blogs to compete for audience time in the marketplace. All you have to do is look at any of the larger genealogy sites and likely the site will be associated with a Blog post of some kind. The organizations and companies cannot afford to ignore the Bloggers, they collectively influence too great a number of the companies' potential customers. The irony of the whole situation is that probably a great number of the readers of the Blogs are Bloggers themselves so effectively no one is reaching out to the non-Blogging community. So to a great extent, some, not all of the Bloggers are part of the larger move from traditional paper news reporting to a more diffuse and less structured format available online. But it is also a fact that very few of the Bloggers have formal training in either writing news stories or reporting at all. Three days ago, on 19 January 2011, I wrote a post and cited then current number of page views for the FamilySearch.org Wiki. On Wednesday evening the number stood at 213,190,629 according to the counter on the bottom of the main page. Today, 23 January 2011, the number is 215,668,862. This means that 2,478,233 people had visited the site and that there are over 800,000 visits a day to just the start-up page of the Wiki! As a matter of fact, the number kept changing while I was trying to calculate the increase. In just one or two minutes the views went up over 110. As a result of the increased traffic, the number of articles is also dramatically increasing, the latest number, as I am writing this post, is 47,166 up about a hundred from yesterday. To give some perspective, the Ancestry.com Wiki start-up page has been accessed of 674,446 times since its inception, less than one day's traffic on the FamilySearch Wiki. On the other hand, if you need a reality check, the English language Wikipedia (they have articles in a huge number of other languages) has 3,539,387 articles. Even at 500 a week, the FamilySearch Wiki would take over 100 years to catch up with Wikipedia. The FamilySearch Wiki is a collaborative project, anyone who registers can contribute and it certainly looks like a lot of people are taking that opportunity seriously. This will present a challenge to all those who are moderators and support people to the project. I would suggest that we are now in serious need of greater participation at a much higher level than we were even a week or a month ago. Please take the time to study the pages in the Wiki about moderators and support and see if you can lend a hand at maintaining this increasingly valuable resource. By the way, while writing this very short article the number of times the start-up page of the Wiki was accessed rose to 215,678,551 or about 10,000 visits. The highlight of the two day Mesa, Arizona Family History Expo was the closing, a commentary and history given by main force behind the whole Family History Expos experience. Holly's experiences show that true dedication and purpose can prevail over huge obstacles. She is a great organizer and promoter, but at heart, is truly a great genealogist. I don't think a person's standing in the genealogical community is or should be based upon either education or erudition. What is important is heart and spirit. Real genealogy involves love. Love of family, love of learning, love of accuracy, love of life. Holly has all of these in abundance and deserves a huge amount of credit for measurably advancing the cause of genealogical research throughout the country. Even though work and family pressures kept me from being more involved in this year's Expo, Holly's E-mail to me at the last minute, reminded me to submit some class outlines. Her kindness in remembering that I had expressed an interest is impressive. I really enjoyed the Expo and talking to all those I had time to meet and visit with. Even though I am Blogger and now, a presenter, I still take the opportunity of attending a conference seriously and attend as many classes as I can. I sort-of regret teaching because then I miss the opportunity to learn from others. Thanks again to Holly, her family and all those who made the Mesa Family History Expo possible. According to a source in FamilySearch, all of the official FamilySearch/Family History Centers across the world, approximately 4500 of them, will get Library Version access to Ancestry.com early in February. 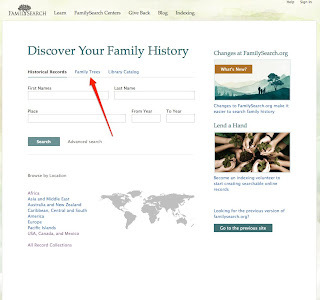 To find out if there is a Center near you, go to the FamilySearch.org website and click on the FamilySearch Centers link at the top of the start-up page. 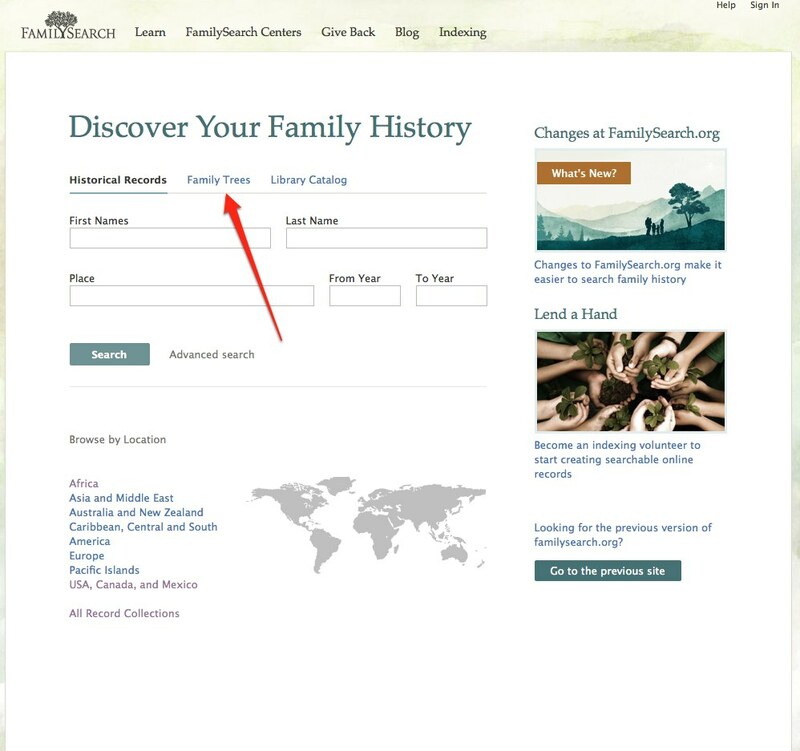 If a Family History Center is listed, it will be given free access to Ancestry.com's library edition. This is the same edition currently available only in the larger Family History Centers. 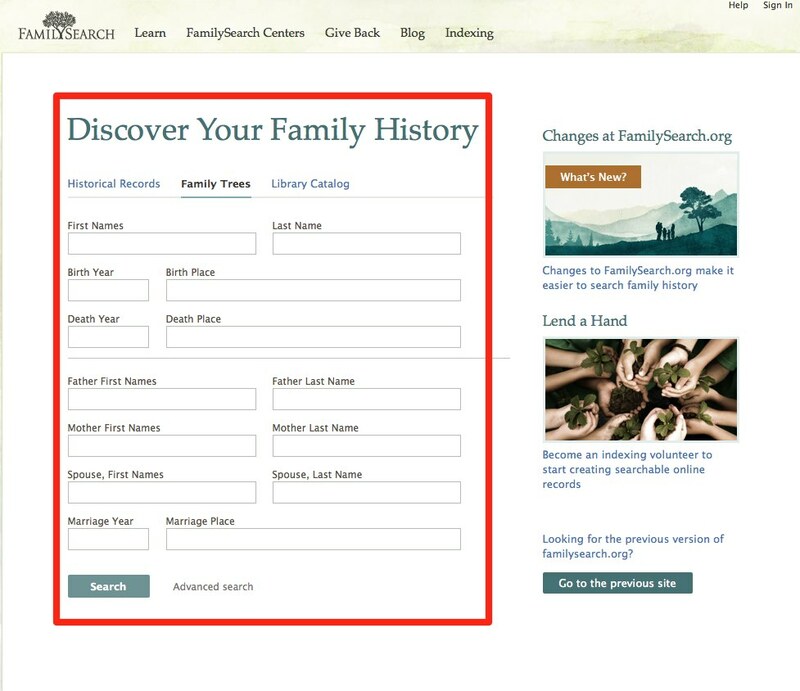 It should be noted that FamilySearch is still in a period of transition in the naming of the Family History/Family Search Centers. I would assume that at some time in the not-to-distant future, all of the present Centers will be re-branded as FamilySearch Centers. But I have not heard anything official about a change in the names. A search on the FamilySearch.org website in my area shows 10 centers in Scottsdale, Chandler, Phoenix, Mesa, and Paradise Valley as potential sites for the expanded program. This includes the Mesa Regional Family History Center (Mesa, Arizona Large Multi-Stake Family History Center which already has access to the program. I am certain that the Centers will have to look at expanded hours to accommodate the increase in visitors access to Ancestry.com will bring. Ending with a class on using GPS for genealogy from Michael Booth of RootsMagic.com and a class on Google Search for genealogy from Irene Winterburn, a fellow blogger. The quality of all of the classes was very good. There were also a number of suggestions and insights, including some really good search strategies from Irene. Unfortunately, I am still tied to a job for a number of reasons including food, clothing... No, really, since I have to work I am still not in a position to attend conferences all over the U.S. But there may come a time... However, as an official Blogger I will be at RootsTech in Salt Lake City, Utah in a couple of weeks. Started out my day at the Expo teaching a class on HeritageQuest.com. This lesser known site has some surprisingly helpful resources such as the Periodical Source Index (PERSI) from the Allen County Public Library in Ft. Wayne, Indiana. I spent the next hour listening to Geoff Rasmussen of Legacy Family Tree talk about the newly released interface with New FamilySearch. I will be commenting on the new Legacy upgrade in the very near future. Third hour was spent learning about 19th Century page photographs from Gary Clark from PhotoTree.com. This turns out to be a very useful website and the information from the class was also useful. Back to the classes. Stay tuned. Easier Scanning using OpenOffice.org or Easier Scanning for Great Results by Marlo E. Schuldt had some good suggestions about scanning, such as scanning with nothing on the flat bed and then you can see any smudges or fingerprints that may be on the glass. One thing about going to conferences is that the presenters always seem to have one or two ideas that are so new and challenging that it starts me going in entirely different ways. One difference (advantage? disadvantage?) in attending a local conference is that you might end up knowing a few people besides those who came with you. Realistically, one of the major reasons for attending a genealogy conference is the opportunity to interact with other genealogists. There is a huge quantitative difference between attending a national conference and a more local one. Both have their advantages and you should make sure you take the opportunity to go to a national conference but don't forget the local ones. It looks to me that there are more people at the Expo than there were last year. The Mesa Expo Center is a very nice venue, but would not work with a conference much larger than this year's attendance. Back to scanning, although anyone can purchase a scanner and get to work, as Mr. Schuldt gave a good introduction to the complexities of getting good scans. The quality of the presentations is excellent. Last class of the day from Lisa Louise Cooke on Google Earth for Genealogy: Rock Your Ancestor's World! Last year her class on Google Earth was worth the whole conference. This year's class was just as good. If you have missed coming to the Mesa Family History Expo, you should make sure to review as much of the online webinars or recordings as are possible to find. Meeting the Bloggers. Always very interesting to see a real live person instead of a picture. Soon it will be off to classes after checking in with some of the vendors who I know. I have already heard some interesting things. There is a rumor that all 4500 of the Family History Centers will be given access to Ancestry.com. Let's see if that is true or not? I choose to go to the FamilySearch update for my first class. I guess this was just in case I missed something looking at it from day to day. Some of the classes are being broadcast on Webinars and will later be available by recording. One thing that seems to happen at conferences is that I get easily distracted from trying to take notes. Right now, I am in the process of seeing how I am going to hook up to my projector (or their projector) for my classes. I am teaching a class today on Ancestry.com. The challenge is that my Internet connection is through my MacBook Pro. Of course, all of the equipment here at the Expo is PC (of course, how silly of me to think my Mac would be compatible) No, problem. I can get anything to work anywhere, given time and a lot of money. Problem, no time, no money. Oh, well. I may be able to find an adapter from a DVI to DB15 or whatever. In the second class of the day, I am listening to Geoff Rasmussen of Legacy Family Tree, Milennia Corporation. They have just introduced version 7.5 of their program with full synchronization to New FamilySearch. The second I get a chance, I will be posting on the new version. There is also a newer update of the Legacy program right now. What do you need to do so your research doesn't end up in a landfill when you die? Good question from Lisa Louise Cooke of Genealogy Gems. Maybe we need a way to communicate the value of our research to our family members. Lisa highlighted a program called Evernote from evernote.com. I will investigate this program and report later, it looks like with my present connection, it will take over two hours to download. I am working on my MacBook Pro using a Verizon WiFi card. The WiFi connection to the Internet is usually pretty fast, but sometimes it is like wading in glue. For those of you who aren't here in Mesa, with out beautiful weather, the next two days I will be here at the Mesa Family History Expo. If you go to their website, you can see a list of the classes you will be missing. The keynote speaker is Lisa Louise Cooke of Genealogy Gems Podcasts. Holly Hansen asked who did not know what a podcast was and there were still a sizable number of people who raised their hands. I am glad they are here at the Expo. I am always interested in listening to Lisa Louise Cooke. Her class on Google Earth last year was the highlight of the Expo. Her introductory keynote speech is extremely interesting on her experience in learning about podcasts. In case you still don't know, a podcast is like a radio broadcast over the internet. OK, so you are reading a blog, this is in print, a podcast is audio. Podcasts, like Blogs are not that new. There are probably millions of Blogs out there in the world now, and hundreds of thousands of podcasts. You can see some of the many, many podcasts available by using a free program called iTunes from Apple. The theme of the Expo is Teaching Old Dogs New Tricks. As I go into the presentation room, I notice that I certainly do not stand out in this group. I am old. Overweight. Balding and hauling a roller bag with my computer. How much more can I fit in. Lisa talks about all the changes that have come and will come with the digitization of the records and the online infrastructure. More during the day, stay tuned as they say! A recent news article in the Deseret News, MormonTimes was entitled "Beware the 'Digital Dark Age.' The report quoted a recent presentation by Janet Hovorka in which she emphasizes the importance of backing up electronic data. She talks of lost love letters, journals and "important information." Included is the quote, ""Digital materials are much more fragile than physical materials," Hovorka said. "When you digitize, you make it easier to share, copy, restore, index and disseminate, but you have not archived it to make it last." Other than the total lack of historical context for a reference to "a Dark Age" in a time of overwhelming communication, her ideas on backing up data are sound and necessary. But let's get some perspective here. What do we really expect to preserve forever? What kind of information is available from our ancestors? How much of that information was actually preserved by them or by chance? What can we do to make our information more available in the future? Is there really some Dark Age coming in the digital world? My paternal Great-grandfather lived to be 82 years old. After years of research about him and his family, I have determined that during his lifetime he likely wrote one page of his life history. So far, I have found no letters he wrote, in fact, not one written record. The same thing is true with his son, my paternal Grandfather. Except for one or two postcards or letters, I am not aware of anything he personally wrote about his life or even any incidental records he may have kept. On the other hand my maternal Grandfather was a newspaper writer and editor. I do have examples of his writing, but as far as his life goes, he wrote one short journal about a trip he and my Grandmother took from Utah to New York. The information dramatically increases with my father, I have probably got 50 to 100,000 pages of documents (let's just say there are more than I have ever tried to count) from my father. These include letters, commentaries, speeches, accounts, interviews, day timers, military records, photographs, a huge complex multitude of documents. Likely, had I the time, I could reconstruct almost his entire life from day to day. What is the difference? Time and availability of communication devices. In my grandfathers' days producing a letter was a big event. It took time and resources. Today we write while we eat and live and breathe communication. Is it really necessary to preserve every last one of those priceless Facebook exchanges about what the cat just ate or threw up? Where does it end? When is enough, enough? Another example. My maternal Great-grandmother spent over thirty years compiling a huge amount of genealogical information. After her death, her children and grandchildren totally ignored the value of the documents and only by good fortune, the documents were preserved, not intentionally but by neglect. My aunt kept them in her basement and from time to time asked people if they wanted them. About thirty or so years after my Great-grandmother died, the documents made their way to me. The documents have now been scanned and are available on CDs at the Salt Lake Family History Library. Those and many other scanned documents are being used to write family histories. See TheAncestorFiles.blogspot.com for examples. The point of these examples is that we have mighty few documents from the past about our families except for some notable exceptions. Past my great-grandparents, I have a few documents and stories. What will my children have? Well, so far I have so many documents that no one wants to even look at them. We once tried printing out E-mail messages and one year or so of messages was a stack of paper almost two feet high. Where is the dark age? Didn't we just come out of one? The intention of the article is laudable. We do need to be concerned about preserving our digital heritage. We do need to backup our data. But do we really need to worry about losing Websites? Maybe. But you might want to know about the WayBackMachine on Archive.org. This website among others, is archiving all of the information on the Internet. I did a search on one of my old websites and they have archives from 1997 to 2008. I really think this is time to look at our digital heritage and start preserving those parts that are worth the effort, but let's not talk about a dark age. Who doesn't like the updated FamilySearch.org? You do need to sign in to add comments, but the page covers a lot of issues. 1. Seven major online collections of images consisting of hundreds of thousands of images from Norfolk County, England. Norfolk is the fifth largest ceremonial county in England and the records cover from the mid-1500s to 1952 PUT ON THE WEBSITE IN THE LAST TWO DAYS! Let's wake up, there are millions of records going onto FamilySearch.org every week, week after week. I continually see Blog posts about such and such a collection of records going onto the Internet. FamilySearch.org is doing that two or three times a week. As of 19 January 2010, there were 532 collections. Watch the number go up dramatically. 2. If number one isn't enough, the FamilySearch Research Wiki has 46,827 articles as of 19 January 2011. Check it out and see how many have been added since that date. You might notice that on the same day the portal page for the Wiki had been accessed 213,190,629 times. If you take time to notice, you will see that the number is going up rapidly. All criticism aside, FamilySearch.org is making a serious run at becoming the most valuable genealogical resource on the planet. Not that there could not be improvements, but let's give credit where credit is due. Don't misunderstand me, there are still some serious issues with the website, including links and other issues that will eventually be fixed, but let's not pine away for the old website and the very limited Pilot list. At some time in most genealogists' lives they get the urge to share some of their work with family members (whether the family members like it or not). YOU WILL TAKE SOME OF MY GENEALOGY!!! Maybe they aren't quite that reluctant. But inevitably, who ever you are sending your information to, does not have the same program you use to store their genealogy. In the best of all possible worlds, they don't have a genealogy program at all, so you can tell them to go buy the one you have. I am assuming here, of course, that your relative does not want a pile of paper printouts. It could happen you know. So you send you relative an E-mail with a copy of your file attached and by return E-mail you get the comment, "I couldn't open your file. What program are you using?" Guess what? You are both using the same program. Now what? You have no idea why they cannot open your program. 1. I save a copy of my data file in my program's format. You have the same program I have and simply double click on the file I send to you and the program opens the file copy. You now have a complete copy of my file. The file can now be saved to a new location on your hard drive, where it might be found again some time in the future. 2. Same circumstances as No. 1, except this time the file won't open. I forgot to ask which version of the program you had. I have a newer version than you do and your older version will not open my file. Solution: you upgrade your program to the same or newer version of the program I have on my computer and then the file will open. 3. Same circumstances as No. 1 but the file won't open and you have the same version of the program that I have. Most likely, I have sent you a file that will not "open" when you double click on it. It could be a backup or archive version of the file. Oh, that's right, I made a backup copy. So now, you have to restore the backup copy to an empty program file. You still have to worry about losing the program by saving it to some unknown location with a name you promptly forgot, but since you now have the same or a newer version of the program than I have, you can open the copy I send to you with the restore command (or something similar). 4. We ignore numbers one through three and I send you a file, but this time when you click on the file, nothing happens or you get an error message asking you to locate a program to open the file. You look closely at the file and it has a .ged extension (whatever that is). Not to worry. This time it doesn't matter if we have the same program or even the same version. Almost all genealogy programs can "import" a GEDCOM or .ged file (the same thing). You open a new empty file and click on the import command and in a few seconds you have my entire file (more or less, usually less). GEDCOM or Genealogical Data Communications is text based standard for exchanging data between genealogy programs. Converting a program to GEDCOM format (exporting to a GEDCOM file) essentially makes a text file containing your information that is then interpreted by the target program and can be converted into a file in the target program (your program by importing the GEDCOM file). One very, very important rule: never import a GEDCOM file into an existing file until you have examined it carefully in a new empty file. If you do not do so, you are asking for trouble, especially if it turns out most of the names in the two files are the same people. 5. You and I both have programs that export and import GEDCOM files. I send you my file, but a lot of the information in my file is either lost of sent to a listing file. You might remember the old tests you had in school where you had to draw a line from one column of items to match with the corresponding items in another column. This is sort-of what genealogy database programs do with GEDCOM. Only there is almost always a problem for the reason that either the source list has more items (tags in GEDCOM) than the target, or the target list has different items (tags in GEDCOM) altogether. In other words, the two sets of items do not match up exactly. The problem with GEDCOM is exactly that, when moving data from one program to another, there may not be an exact correspondence between the tags marking the fields and the data in the unrecognized fields is shunted off into notes or listing files or whatever and mostly lost. Part of the problem is caused by programmers not implementing the GEDCOM tags in their programs. But part of the problem is also caused by the fact that GEDCOM is now an old standard and lacks tags for some of the newer data field types. So what can we do about this problem? Live with it? Well, yes. GEDCOM is GEDCOM and the way each program implements a file transfer to another program is determined by the individual programmers. You might like to read about Randy Seaver's of Genea-Musings experience in trying to transfer source citations from Family Tree Maker 2011 to RootsMagic 4. However, there are a number of programmers, genealogists, programmers who are genealogists and genealogists who are programmers, that are trying to do something about the situation. They have established an online Wiki to develop a better GEDCOM, essentially a way to improve the ability of programs to transfer genealogical information. But meanwhile, there are a few things you can do to improve your data. Number one is be consistent in the way you enter data no matter what program you use. Second is keep information in the fields in your program dedicated to that type of information. For example, put source entries in the source fields of your program and not in the notes. Don't put extraneous information in fields in your program. For example, don't put titles and such in name fields. Even if a programs will transfer data successfully, if your data is messed up, you will transfer messed up data. I am sure there will be more about this in the future. It seems like recent experiences always get me thinking about competency in genealogy and technology. Even though the vast majority of the genealogists (using the term in a very inclusive sense) I talk to day after day profess little or no experience with computers, but there are a always a few notable exceptions. It seems that every time I write a post or teach a class with comments directed to novice technology users, I have someone respond who is a programmer for a major software or hardware company or who has spent their life manufacturing semi-conductors. This seems to be especially true at computer conferences. I will be teaching a class on an introduction to a software program and someone always has to correct me who helped write the program or is related to the developer. There is always this huge contrast between computer novices and computer techs. While at the same time, there is the same contrast between genealogical novices and experts. Sometimes the two areas of competency don't match up. I have been reading some of the older genealogy commentaries and books, particularly, Donald Lines Jacobus' book "Genealogy as pastime and profession." (See Jacobus, Donald Lines. Genealogy As Pastime and Profession. Baltimore: Genealogical Pub. Co, 1968. ). This book was first published in 1930 and the contrast between the methodology used by Jacobus and his peers is strikingly different than those used by today's technologically savvy researchers. However, the challenges and problems faced by Jacobus are exactly the same today. Technology alone does not turn a bad researcher or genealogist into a good one. When you get right down to the basics, whether you are looking at a document scanned into computer and presented online in a database or examining the original documents in some courthouse or another makes absolutely no difference to the process of analysis that goes into building a credible pedigree. In some ways the technology makes researching easier as witnessed by the numerous references Jacobus makes to the difficulty in finding original documents. But on the other hand, technology also makes it considerably easier to perpetuate trash. Whether I copy out poorly done genealogy by hand with a pen or pencil or copy and paste with my mouse, if the original product is bad, the results will be also (i.e garbage in/garbage out). So should we be modern day genealogical Luddites? Or do we use the technology tools we have to our advantage and keep working to bring up the level of competence in the genealogical community? Sometimes, I can truthfully say, that I question the utility of teaching one more class to people who admit at the end that they have no idea what I am talking about and aren't going to make the effort to try to understand. I usually think this about the time I watch a group of patrons at the Mesa Regional Family History Center blissfully copying names and dates out of New FamilySearch as if it were the gospel truth. Where do we start to acquire both the technological skill and the research skills to do adequate genealogical research? One of my friends always expresses amazement at some of the questions I raise when he asks for help. Recently, he gave me the name of one of his direct ancestors with a birth date of 1782 in Tippecanoe, Indiana to research. Tippecanoe is the name of a town, and township, a county and a river. But apparently it never occurred to him to check the date. In 1782 not only did Indiana not exist, but that part of the continent was yet to be added to the United States which, by the way. also did not exist. The U.S. Constitution was ratified in 1787 and 1788. I do not fault him at all. He is just starting out on his genealogical investigations, but the question does point out the need for some fundamental education before we launch off into the genealogical stratosphere. I will be working with him in the next few days to resolve some of the questions raised by his date and place. You could start by acquiring some fundamental computer skills. For one example, our local community colleges have a huge selection of classes and entry levels to teach about computers. So how do you get started in genealogy? The same way you learn any skill. Either check out or buy some books and start teaching yourself, or attend classes. If you already have some basic computer skills there are literally thousands of classes online teaching about research and genealogy. FamilySearch.org has over 100 free classes while there are classes from Family Tree Magazine, Ancestry.com, BYU Independent Study, Family Tree Maker and the list goes on and on. There is no shame in being a novice. There is only sadness for those who refuse to learn when learning is so free and easily obtained. However, it is a shame that so many keep on copying out their "genealogy" without either the computer or research skills to evaluate what they are copying. Tablet computers -- can you do real genealogy? Released in April of 2010, the Apple iPad sold 3 million devices in 80 days. It is about 9 1/2 inches by 7 1/2 inches and weighs 1.5 to 1.6 pounds depending on the model. It is estimated that Apple will sell 28 million or more iPads in 2011. We purchased an iPad shortly after its introduction. The machine is used primarily by my wife, but it has revolutionized the way she works and stores her information. Most recently, she has discovered that the iTunes program will load PDF files into the iBooks app. She can now print all of her work on the computer to PDF files and have them available to read or consult on her iPad. When I attended the first Bloggers' Day at FamilySearch in Salt Lake City, Utah, two of the twelve Bloggers used iPads to connect to the Internet and take notes during the presentations. The devices are beginning to show up almost everywhere, from board meetings to church meetings. At the recent Consumer Electronics Show in Las Vegas, Nevada, many computer manufacturers announced tablet computers that they hoped would give Apple some competition. As of December, 2010, the Samsung Galaxy Tablet Computer has sold over a million units, making it a possible competitor to Apple. 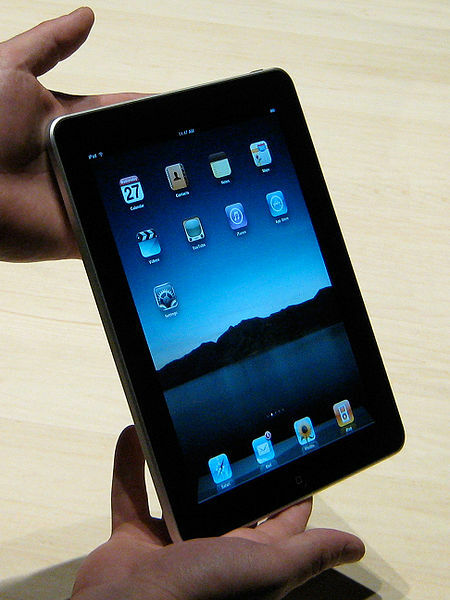 Apple will be coming out with an iPad 2 in mid-2011. According to TopTechReviews.net total sales of tablet computers could approach 100 million units in 2011. With the huge application base of the iPad, even if other manufacturers make a "better" tablet computer, they will still have a hard time competing with Apple. From the manufacturing perspective, eBook Readers like the Amazon Kindle, are classed with iPads as tablet computers. There is a real issue as to whether the tablet computers released recently to compete with Apple are permanent products or will be soon abandoned if sales do not increase as expected. But despite a huge number of nay-sayers before the iPad was released, it is apparent that the Apple product is here to stay in some form or another. As genealogists, we can ask if these new tablet computers, like the iPad, are capable of doing real genealogy or are better used only for viewing files? The answer lies in the hardware add-on capability of the tablet computers. The iPad has an optional full sized external keyboard that brings the machine almost to the level of a laptop computer. It certainly has the processor speed and storage capacity to function as a full featured computer with the proper software. As of early in 2011, there were eight different genealogy apps listed in the Apple iTunes store available for the iPad, including MobileFamilyTree, GedView, Reunion for iPad, FamViewer, Family Genealogy, Families, Name Maps for iPad and Research Logger. Obviously, the Reunion for iPad works with the desktop version of that program, but the Families app is designed to work with Legacy Family Tree. The Families app claims that users have successfully displayed and edited files containing over 300,000 individuals on an iPhone. There are reportedly genealogy programs that also run on the Google Android operating system. I have yet to see if any of the Windows compatible devices will run any of the existing genealogy software. I guess my answer would have to be that yes, you can do real genealogy on a tablet computer and I assume that your ability to do so will increase dramatically during the next few years. There is presently a debate as to whether tablet computer might replace a significant segment of the laptop market over the next few years. If my own experience is any indication, I think most people who use a laptop and buy a tablet computer will end up using both. As for me, I like my MacBook Pro too much to switch to an iPad. I grew up with the family tradition that "all my genealogy had been done by my Great-grandmother." In retrospect the statement was far from true by simple logic. My Great-grandmother was not related to my father or his family at all. But in total ignorance of my family relations, I believed the tradition as did all my family members. My awakening came when I was literally forced to examine my four generation pedigree and realized that the claim was totally false. Deep down inside of me, my soul was offended that I had believed something so easily disproved and I stubbornly set out to document my family lines. In my early years, I used to say, I am not interested in the stories, I am interested only in establishing correct dates and places. I felt I did not have time to digress into maudlin storytelling. As time went on and I gathered more and more information, the stories came along with the names and dates. Slowly my heart turned to my ancestors. My search through records became a door into the lives and minds of those who had lived across the years. I began to visit cemeteries. I began to visit the places where my ancestors had lived and worked. Once I started the journey to know my ancestors, they began to reach out to me in direct proportion to my attempts to reach them. Without any effort on my part, boxes and boxes of records began to make their way to me. The more I investigated, the more there was to investigate. Sometimes I would just sit and feel almost crushed by the weight of all those dead people. They began talking to me. How could I go on with all those lives? All those days of work and all the sorrow and tears? How can you keep on going when your son, your namesake, is crushed by the wheel of a wagon crossing the plains? How do you live through the loss of your twenty-two year old son, electrocuted by a power line? How do you live on when your mother dies and you are only eight years old? How do you live in a place with little water, when the wind blows 350 days a year and the temperatures in the winter are 20 degrees below zero? How do you go on when your home is burned by a mob and you are beaten over the head until senseless? How can you live in Boston with no job and no income and no food and watch your children starve? How do you live when you look out from your tiny ship after crossing the ocean and see a whole empty continent and face a winter of starvation? How do you keep from being crushed by all those dead peoples' lives? Genealogy is not a pastime. Genealogy is not a hobby. Genealogy is not even a discipline. It is not technology. It is not a software program or backing up files. It is the hopes, fears and lives of your ancestors. It is life. It is who you are when everything else is lost and gone. At the end of your life, you have only your memories and your family. Truly said, what is it worth to gain the whole world if you lose your soul? Your family is your soul. So you want to print your genealogy? My first question when the subject of printing comes up is why would I want to print out my genealogy? This seems to be part of the endless discussion about whether you can still do genealogy from paper copies. But in this post, we will assume that you already have come to the conclusion that some portion of your genealogical data needs to be printed and discuss what kind of printers are now (2011) available and the pluses and minuses of each type. If you have purchased a computer in the last couple of years, you may have noticed that the vendor offers you a "free" inkjet printer along with your computer system. The reason is simple, replacement ink cartridges cost more than a new printer. The current price for the least expensive HP Deskjet Printer is $29.95 after a rebate direct from HP. The cash price is $69.99 retail. I am not expressing any opinion at all about the quality or other features of any of the printers I mention, I am using the price to demonstrate a point, that most printers today are less expensive than their replacement ink or toner cartridge. In the case of the HP Deskjet, one extended Black cartridge (not color) is about $60 or twice as much as the cost of the printer. The point is this, when you look at a printer today, it is more important to look at the cost of the replacement ink cartridges or toner than the cost of the machine itself. There are cheaper ways to replenish the ink cartridges, such as buying kits to reload them with ink, but there is still a cost involved in the printing supplies which will eventually, sooner or later (usually sooner) equal or exceed the cost of the printer. There are essentially two types of printers on the market today; those that use ink sprayed onto the paper in some form and those that use toner, a plastic powder that is melted onto the page. I guess it is obvious that inkjet printers use ink and laser printers use toner. All photocopy/laser machines use toner cartridges. The process used by inkjets to form an image whether a photo or text is same, the ink is sprayed onto the page in really tiny drops. On the other hand, laser printers use an electrostatic charge to form the image on the paper and then the paper passes next to a dispenser filled with plastic powder which adheres to the parts charged by the imaging mechanism. Then the toner is fused to the paper by a heated element appropriately called the fuser assembly. Inkjet printers are usually very quiet, start printing instantly and have good quality color prints (from color printers, of course). On the other hand, they are comparatively quite expensive to operate and have a tendency to run out of ink at inconvenient times. Laser printers take a little longer to print the first copy, but are usually faster on longer jobs. They cost slightly more than inkjet printers but the toner cartridges generally last a lot longer than the ink cartridges. The cost of prints is usually lower than inkject but the quality of the photo printing is considerably worse than the dedicated inkject photo printers. I have already mentioned the price of one of the least expensive inkjet printers available, what about a laser printer? Used laser printers are selling for around $10 to $20. That's right $10. New black and white laser printers start at about $25. No this is not a typo. You guessed it! It is now cheaper to buy a new printer than it is to replace the cartridge. But what about quality? The cheapest printers advertise up to 1200 x 1200 dpi (dots per inch). So what's the catch? There really isn't one. In fact, you can buy a combination scanner, inkjet printer and FAX machine for under $100. Why aren't all these printer manufacturers going out of business? Remember the cost of ink and toner? That is the reason. Most of the inkjet printers are being sold today for printing photos as well as text. But the manufacturers know that you will not print just one photo at the lowest average cost of about 25 cents, but probably use up a lot of ink printing a lot of photos. This economical cost of photo prints is primarily from machines that print only photos. No text. Connectivity and wireless operation -- will it work with your computer? What if I walk into Costco or Walmart and just pick up the first printer I come to? You will probably get a good quality printer, but it may not be what you really want. Think about what you really need or want to print? Do you really want to print a lot of photos, or just some for special occasions? Do you produce a lot of reports with color graphics? Maybe you need a color laser printer that will give you high quality and low cost per print. Will you use the printer for anything beside genealogy? Very likely. If you find that you only print a very few copies every month, then you can get by with just about any inexpensive printer. HP, Canon, Lexmark, Epson or Kodak. But, you might also want to look online for printing services. You may find that if you are only interested in doing photos once and while, it is cheaper to take them to a local Walmart, Walgreens or Costco for prints or send the files to Shutterfly or Snapfish or some other online printing company and get along with a plain black and white printer for family group records and pedigree charts. Genealogy -- Interest, passion, or obsession?